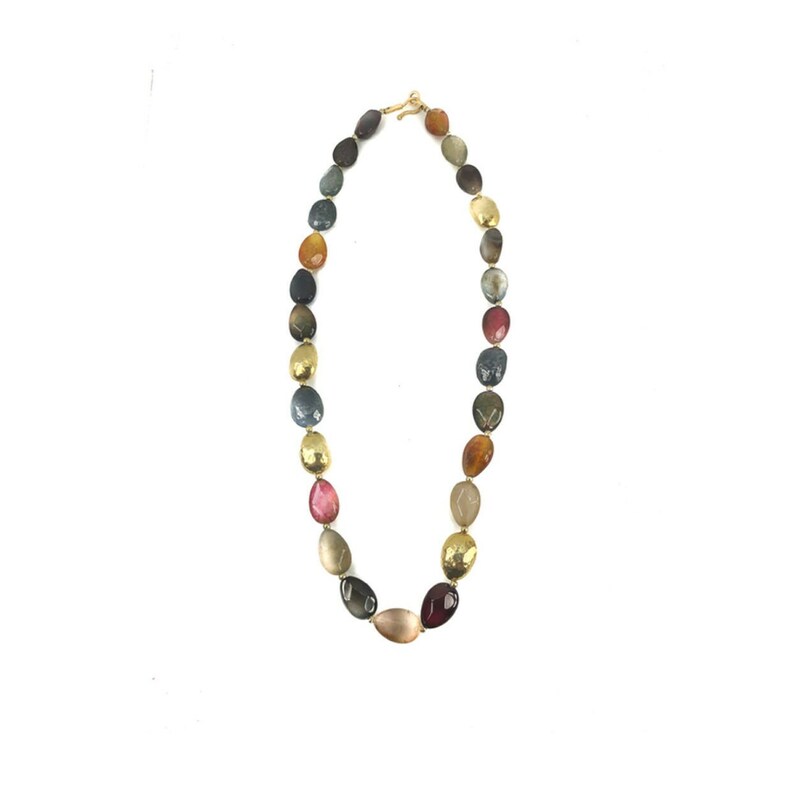 All natural Akik in different colors and gold plated silver nuggets make this necklace stand out. 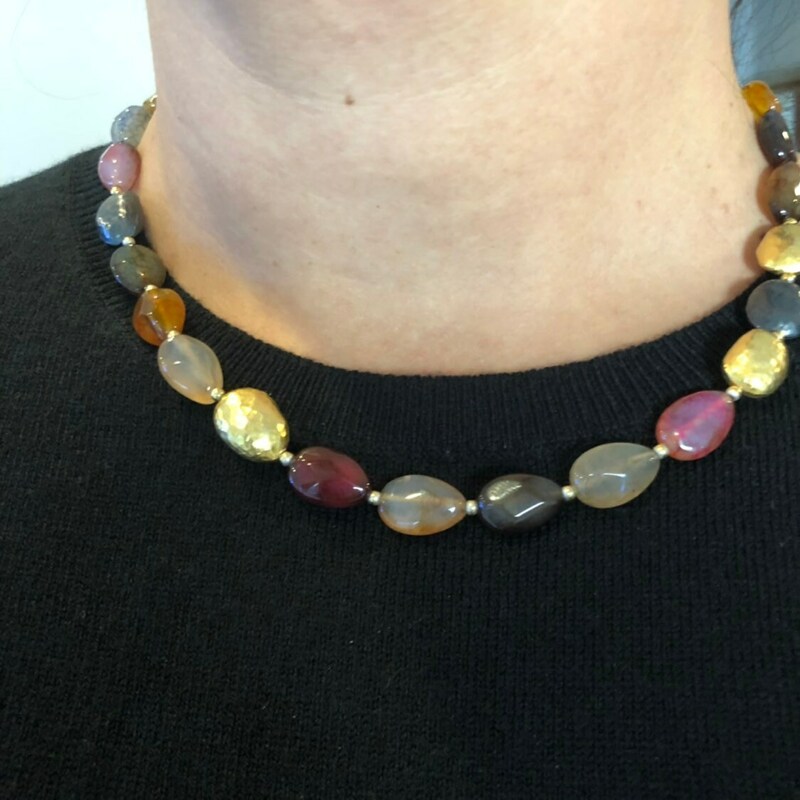 Very chic and unique necklace is available for same day shipping. 925 Sterling Silver . Gold Plated Over Silver . 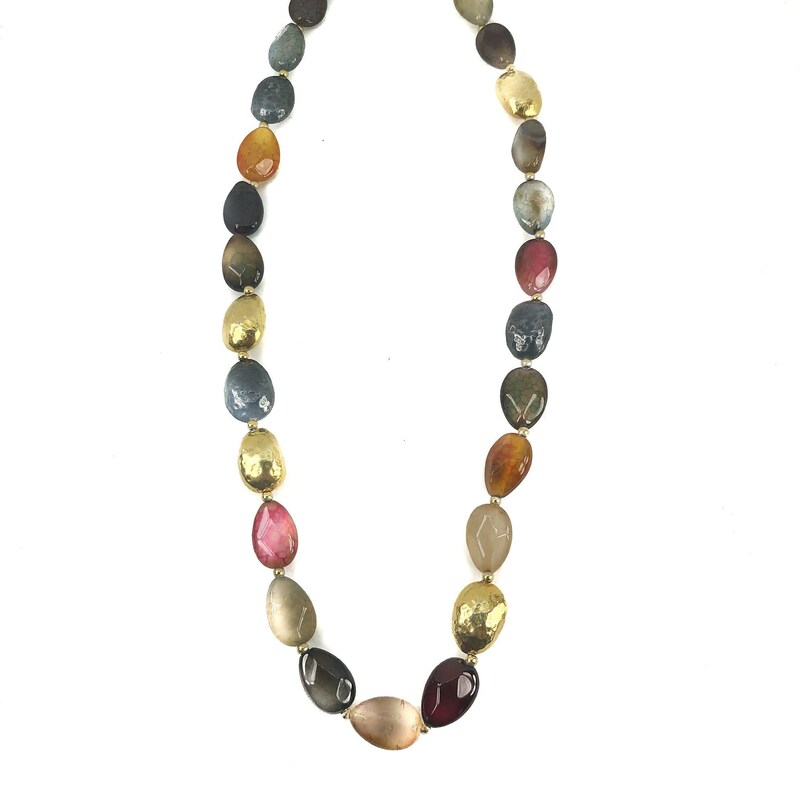 Color of The Stones May Vary. Wearing Akik creates joy in the heart and is good for the eye sight and it also helps eliminate depression, sadness and high tension anger. This stone absorbs the rays of the sun and passes absorbed stone to your body. Akik stone is also good for your health, your fears and loneliness. This necklace is even prettier when you get it! The pictures are gorgeous but can't compare to the real thing! As well the owner is incredibly easy to work with, I had ordered another item that didn't work out for me and he was very helpful in returning the item and getting a different item. I highly recommend this vendor!